Box.net had humble beginnings as a Berkeley class project to revamp an industry in need of change. 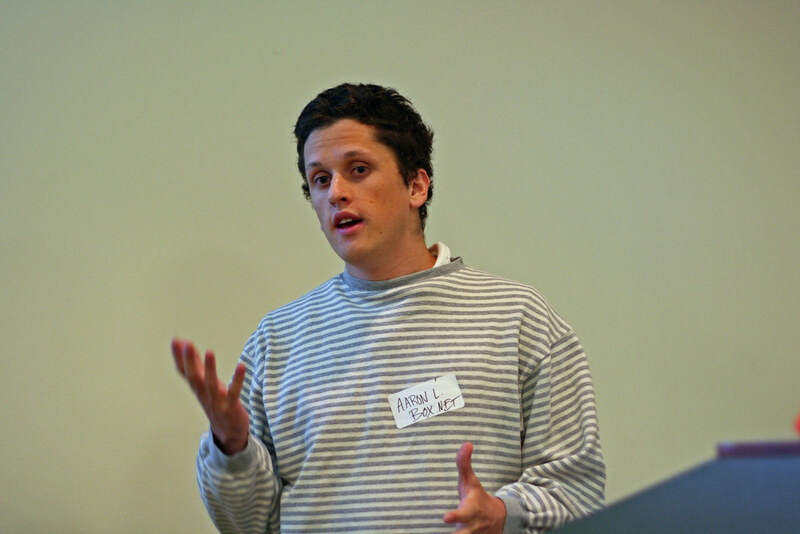 Aaron Levie (pictured above) and his cofounders thought online storage, backup, and sharing could use a makeover and they built a prototype and business reasoning for the class. Fellow students bought-in and encouraged the team to further develop the service in exchange for a few dollars a month. Box.net currently offers 1 gigabyte of free storage, with upgrades available starting at $5 for 5 GB. They don’t offer the most free space or the cheapest but see their strength as integration with other services and easy sharing. Using the Box.net API developers can add access to Box.net storage from within their own web applications. Customizable homepages such as Netvibes and Pageflakes already offer Box.net integration, allowing anyone with a Box.net account easy access to their most recently used files within their browser start page. The three employees of Box.net will be working hard this summer on a new site release with lots of new features. According to a recent blog post by Aaron the team is “planning to change the face of storage and sharing” over the next two months. Stay tuned for more from this small team.